The 2018 Cricklade Festival Fringe…. As well as the activities and entertainment on the High Street and Festival Field, there are other fantastic things to do and see around Cricklade. 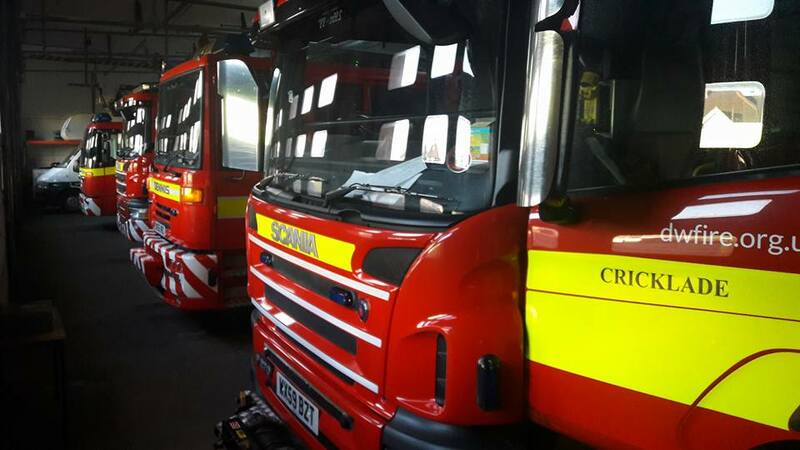 Did you know that the Cricklade Fire Station has been here for 160 years? It’s amazing but true! To celebrate this anniversary, the Fire Service have planned a huge celebration to coincide with the Festival. As well as a historical display in the Cricklade Museum there is going to be Cricklade’s biggest ever collection of fire engines; from vintage fire trucks, to aerial appliances and heavy rescue and search and rescue units. The Cricklade Fire Cadets will be running through their drills, and you’ll also be able to see a cooker fire display. Not only will you be able to admire and find out more about all of these appliances and the way they are used, you’ll also be able to have go on the hoses – and find out if you can hit the target! The Fire Station will be open all day so make sure you pay them a visit on your way to or from the Festival Field. Cricklade Museum will be open showing our new Timeline of Cricklade, a display from the Village of Hankerton and a display of Saxon coins minted in each of the Wiltshire Mints. Cricklade Duck Race organised by Cricklade Scouts, is running throughout the day. Take a stroll down to the Thames and see a sight you don’t see very often! Tickets available from High Street stall and Thames Hall – all proceeds go to Scouting in Cricklade. Friends of St Mary’s are providing teas, coffees, homemade cakes in the grounds of St Mary’s Church. You can find this beautiful church just beyond the main stage. St Sampson’s Church will take you ‘through the rabbit hole’ to a Wonderland. Join the White Rabbit to climb the Tower for a bird’s eye view of the Festival or bring your teddy bear for the Mad March Hare’s teddy parachuting display and teddy bears’ picnic. There will also be a special Mad Hatter’s all-day tea party with cream teas and the Queen of Heart’s jam tarts! Come to our family singalong in the church at 2pm based on the Festival theme. And on Friday 15th June Cricklade Band will be performing in the garden of The Red Lion – and it’s free! The Band Academy will play from 6.30 pm and the full band from 7.30 pm.